Just back from: in Baja, Mexico. It's about 60 miles north of Cabo near Todos Santos. Was it your first time? This was my first trip to Rancho Pescadero, although I first visited San Jose del Cabo about fifteen years ago. Mucho has changed, as Cabo is incredibly developed now. How long were you there? One week in December. Why did you go? I needed to get away from the world and dunk my brain in the ocean. I surf. Who were you with? I went solo, but was adopted by a couple I met from Boston. He is an artist and she a speech therapist. They were surfers, too. What was the best tip you got before you left? To stay at Rancho Pescadero. Two summers ago, I was waiting for dinner at Eleven Madison Park restaurant in New York City and met a woman eating at the bar who happened to be a travel industry publicist. I mentioned that I was leaving on a surf trip to a place called , near Mazatlan, Mexico, and she told me about the great new hotel she'd just visited that had a surf break right there. I made a note to self to check it out. It was great advice. What's the #1 tip you'd give a friend who wanted to go? 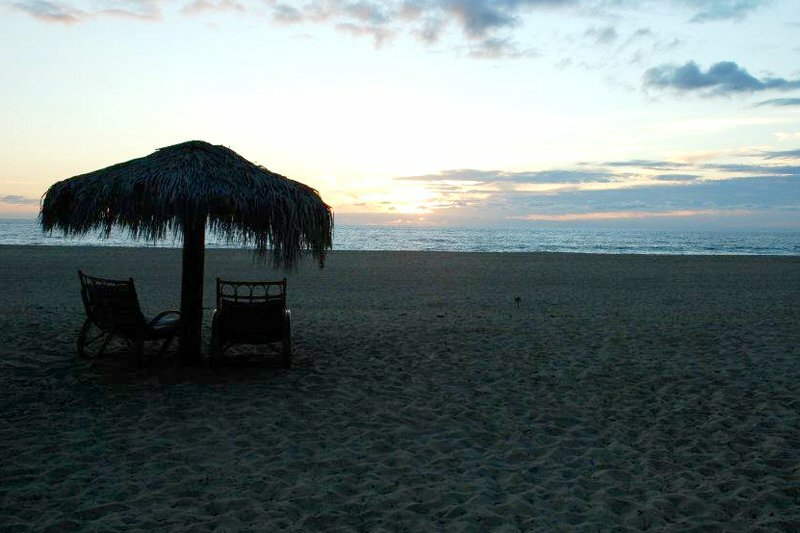 There's not much to do at Rancho Pescadero. If you need to stay plugged in, stay in Cabo. What did you do? I surfed every day at one of two local breaks, San Pedrito (north) and Cerritos (south), each about a ten-minute drive over dirt roads. The food at the hotel was muy bonito because Chef Bueno (that's really his name) has serious training and experience. I visited Todos Santos (about a fifteen-minute drive) for lunch and dinner and scouted some legit art galleries. I checked out other scenic beaches and watched whales breaching in the distance. Bonus cuteness: There are turtle hatchings almost daily in season. Were you there for the right amount of time? If you can handle being away from it all, I can't imagine why you would ever want to leave. This place has everything you need. But if you have real-world responsibilities or need more action, one week is just fine. This was especially great: Watching a meteor shower in the hot tub late at night. But this wasn't: Wash-board, dusty, dirt roads. - Meal: Post-surf breakfast burritos at the hotel. - Thing you did: Surfed Cerritos (right point break) and San Pedrito (A-frames). - Hangout: Fonda El Zaguan has tasty and fresh, authentic Mexican dishes. Sitting out on the sidewalk in the shade for lunch with an icy cerveza couldn't be more chill. - Kodak moment: Any sunset over the Pacific. What did you bring back? Great memories and a tan. If you go back, what will you do differently? Bring a girl. The place is ridiculously romantic. Any surprises? 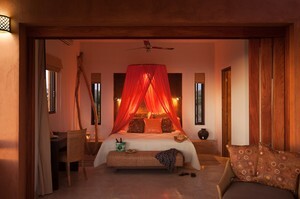 The rooms were incredibly large suites, beautifully appointed, with the most comfortable beds. As nice as any hotel anywhere, ever. You can't stop thinking about: The cute veterinarian from San Francisco in room #9. She was adorable, sassy, and had a great tatoo. Rates start at $185/night. Surf lessons and equipment rental are available. Dr. Melrose, the co-founder of , has practiced emergency medicine for more than 20 years, and was named one of the area's Best Emergency Physicians by New Jersey Monthly magazine in 2008 and 2009. He travels to surf and in search of uncrowded waves.